Rubina has been invited to her first birthday party, and her mother, Ami, insists that she bring her little sister along. Rubina is mortified, but she can’t convince Ami that you just don’t bring your younger sister to your friend’s party. So both girls go, and not only does Sana demand to win every game, but after the party she steals Rubina’s prized party favor, a red lollipop. What’s a fed-up big sister to do? 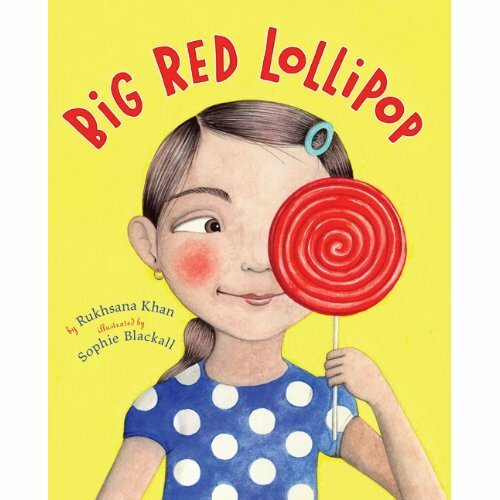 Rukhsana Khan’s clever story and Sophie Blackall’s irresistible illustrations make for a powerful combination in this fresh and surprising picture book.